A sensitive data breach can only be searched by the verified owner of the email address being searched for. I created Have I been pwned? 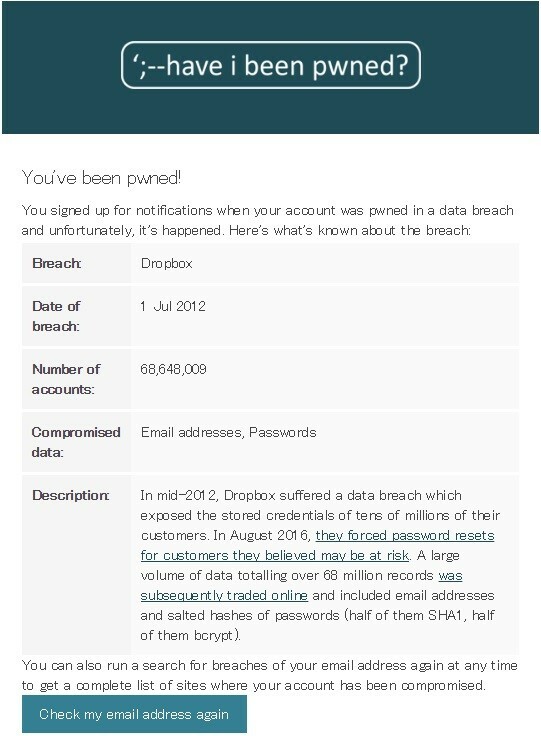 as a free resource for anyone to quickly assess if they may have been put at risk due to an online account of theirs having been compromised or "pwned" in a data breach. HIBP searches through pastes that are broadcast by the @dumpmon Twitter account and reported as having emails that are a potential indicator of a breach. Back in May 2013, I released a Twitter bot called @dumpmon whose sole purpose was to track and report password dumps and other sensitive information shared on paste sites such as Pastebin.